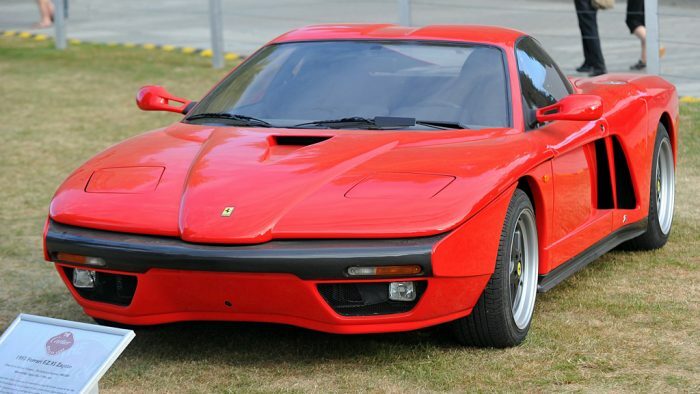 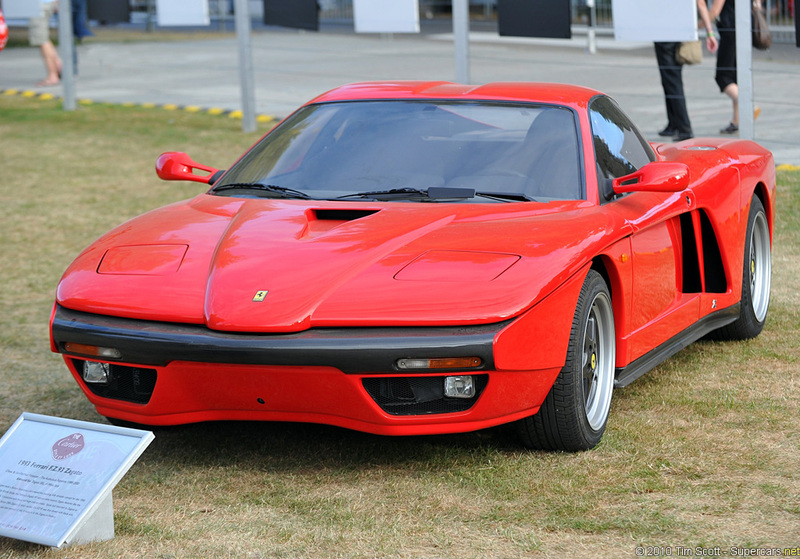 One of the little known Ferrari prototypes is this one-of supercar built on Testarossa S/N 83935 for the 1993 Geneva Auto Show. 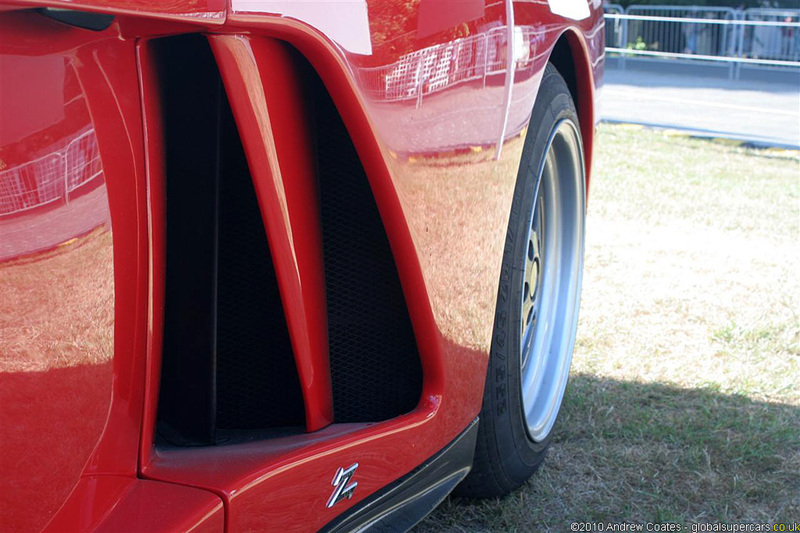 Called the Formula Zagato ’93 (FZ93), it followed a small series of curious Zagato 348s and some classic Zagato-Ferraris which were all built in exclusive numbers. 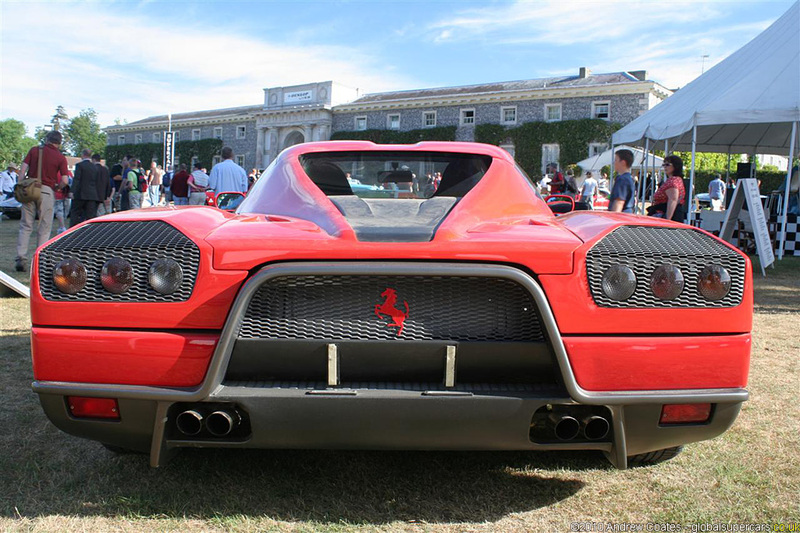 FZ93 was penned by Ercole Spada who made a return to Zagato and design this car. 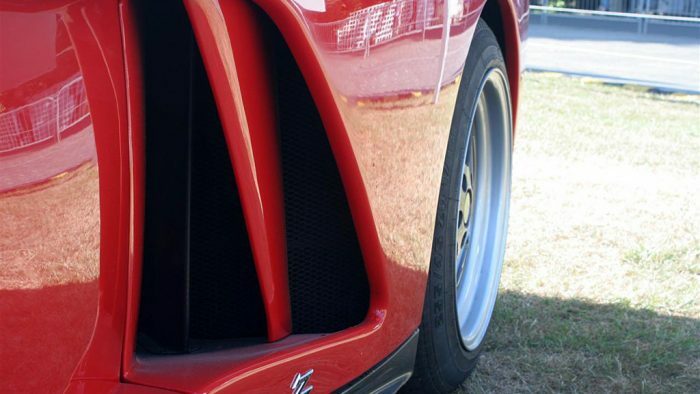 Ercole was responsible for the legendary Aston Martin DB4 Zagato and more recent cars like the iconic Alfa Romeo 155. 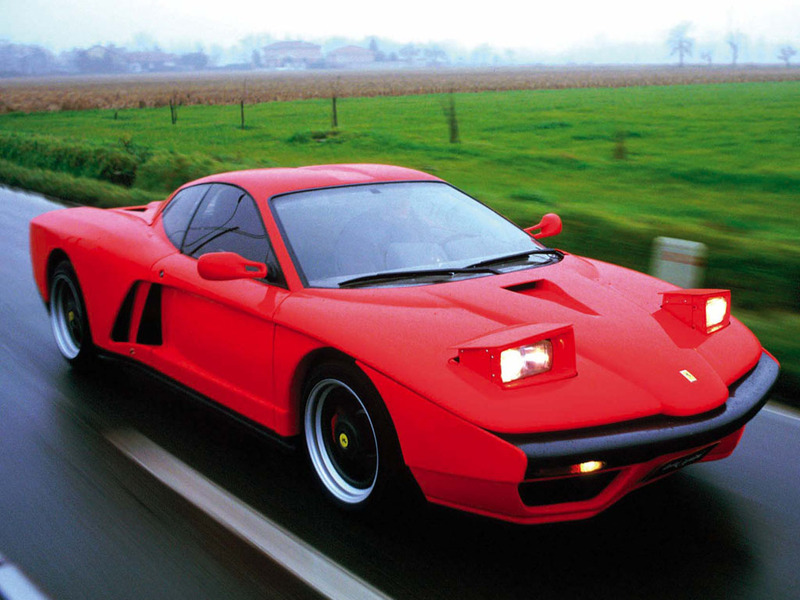 His Testarossa made no concessions to the original and featured stylistic creases, huge air intakes and pleasing curves. 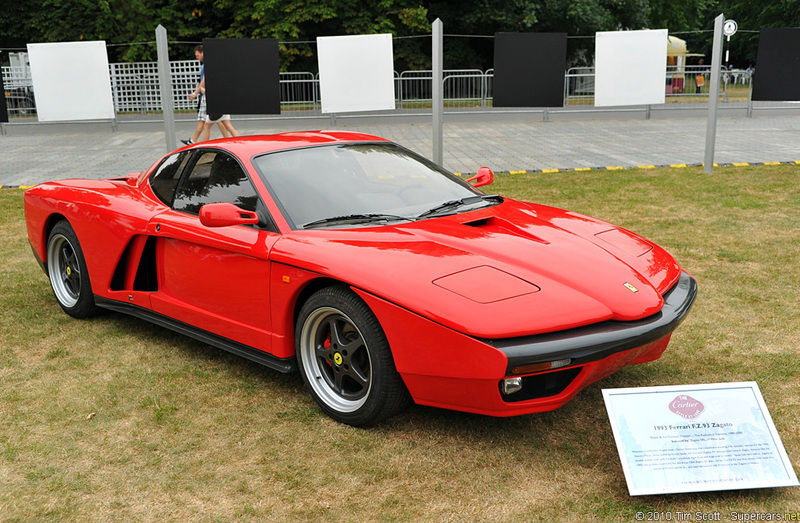 When first released at Geneva, the FZ93 featured an awkward two-tone paint scheme and huge black cavallinos which easily distracted the viewer from the actual lines of the car. 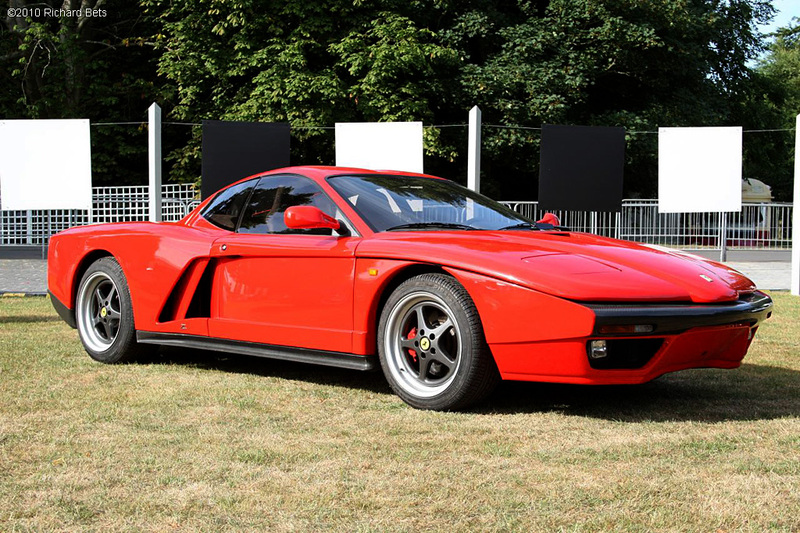 Since its release, Zagato has repainted the entire body blood red and never looked back.Paintwork aside, the FZ93 was initially received with mixed emotions and most viewers tended to prefer the original Pininfarina-designed Testarossa better. 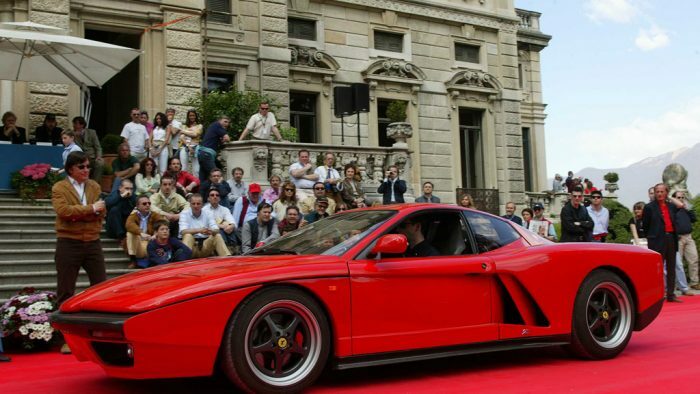 However, the FZ93 definitely had a influence on the Ferrari Enzo which was released almost 10 years later! 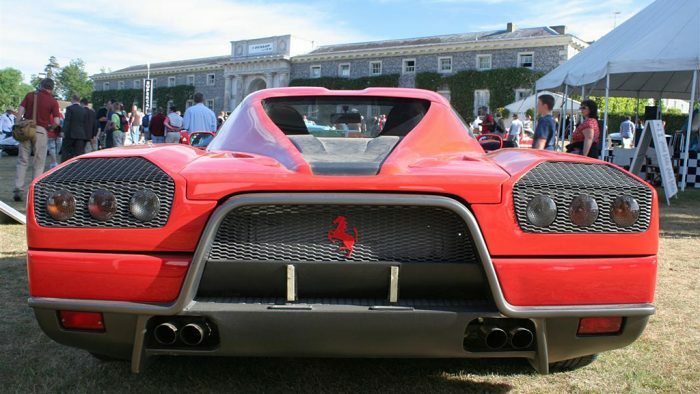 Both cars share the same Formula-inspired nose and overall shape. 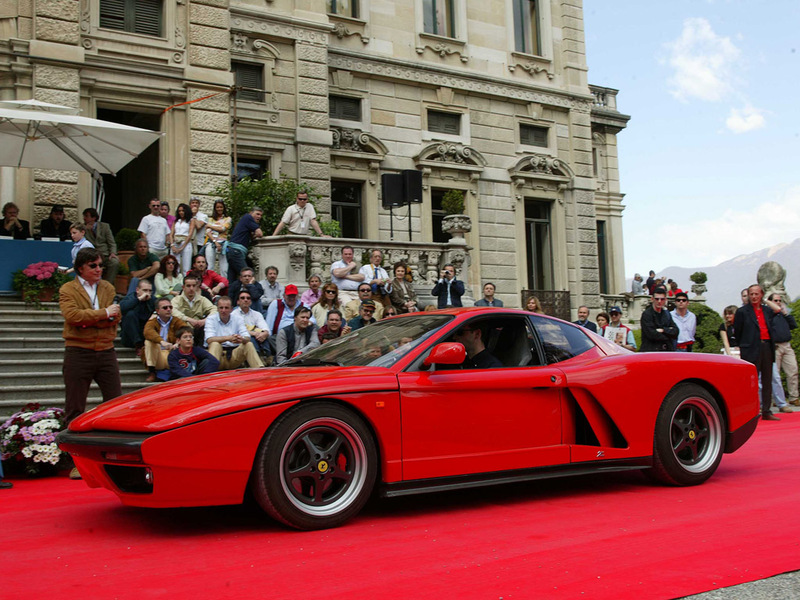 The FZ93 currently resides in the Zagato Collection in Milan.